Ola my dear merry goers! How have all of you been doing? 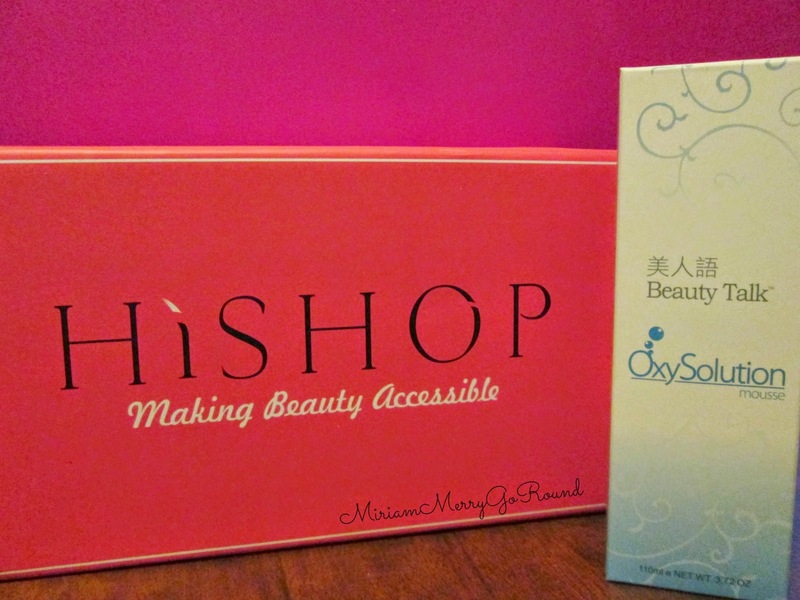 Today I have another collaboration with Hi-Shop and it is from the all raved Beauty talk series. 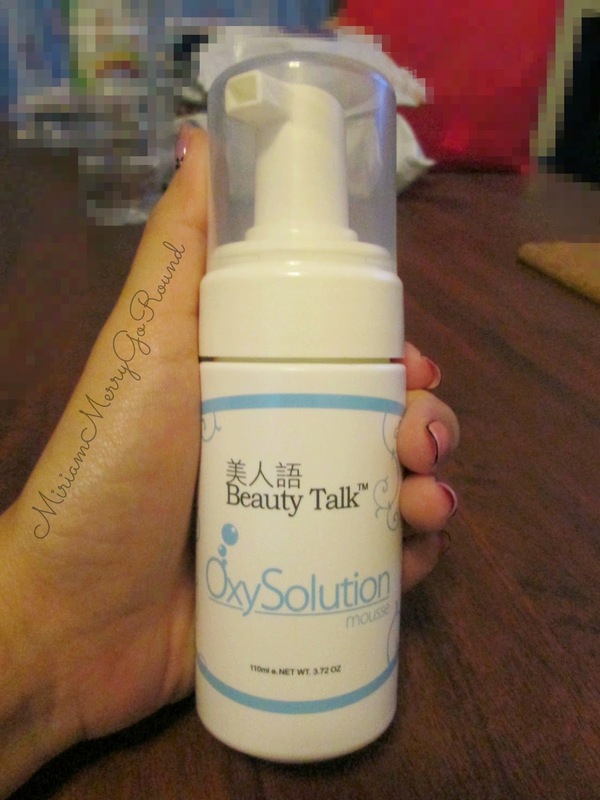 Thank you once again to HiShop for giving me the opportunity to try out the OxySolution from Beauty Talk. The mousse gentle remove the dead skin, refine pores size, regulate, nourish and rebuild the skin with oxygen. It works as a gentle cleanser and non-waterproof make up remover. 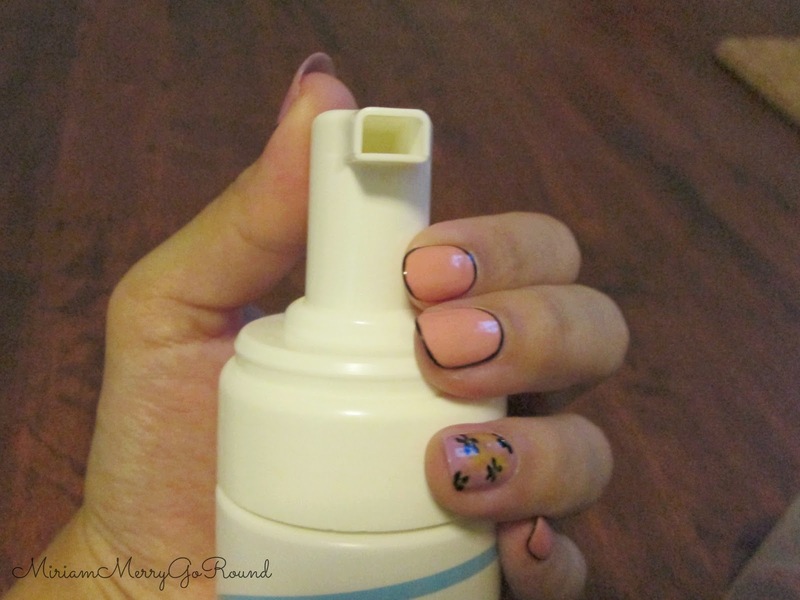 So the bottle comes with a pump that dispenses a bubble solution and foams right into your hands! 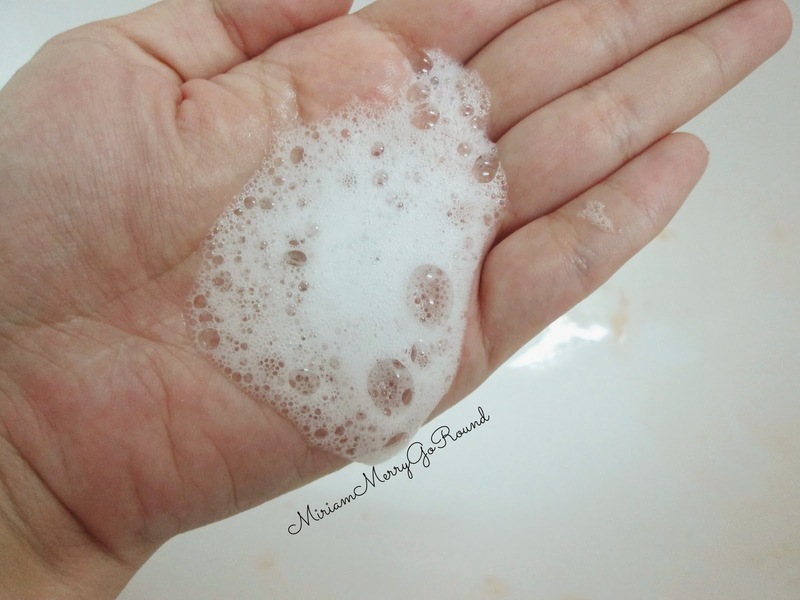 There isn't much smell to the foam which I do dislike in some cleanser products. Anyway, the bubbles disappear quite quickly and the weird thing is that after the bubble disappear, there wasn't much moisture left. The bubbles, created by the dispensing pump, minimize the molecular size of the concentrated properties of the product, allowing it to penetrate deep within the skin to remove oil, impurities and environmental grime. This, in turn, improves the skin’s ability to absorb other treatment products. Saturate cotton pad with Oxysolution Mousse and wipe the entire skin surface. Rinsing is optional. The OxySolution can actually be used as a cleanser as well as a makeup remover for non-waterproof products. What differentiates this product with the other cleansers in the market is that you DON'T need to rinse the product off. Skeptical? Let's put it to the test! So firstly let's see how well it does as a makeup remover. 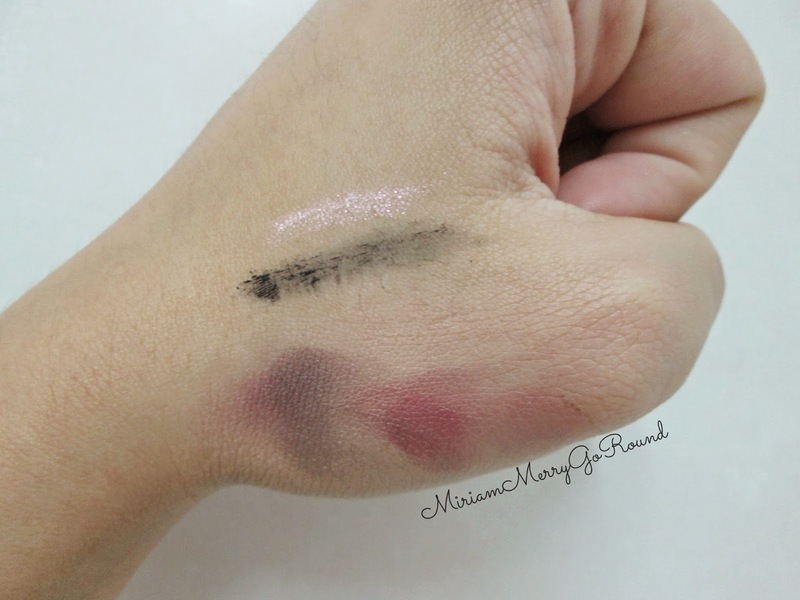 Here on my hand I have swatches of eyeliner, mascara as well as eyeshadow. So let's get started. Doesn't everyone wants to indulge themselves and pamper themselves once in awhile? Have you experience a luxurious movie experience? Well my dear merry-goers, today I am here to share with you an indulgence movie experience thanks to the team at Butterfly Project Malaysia. 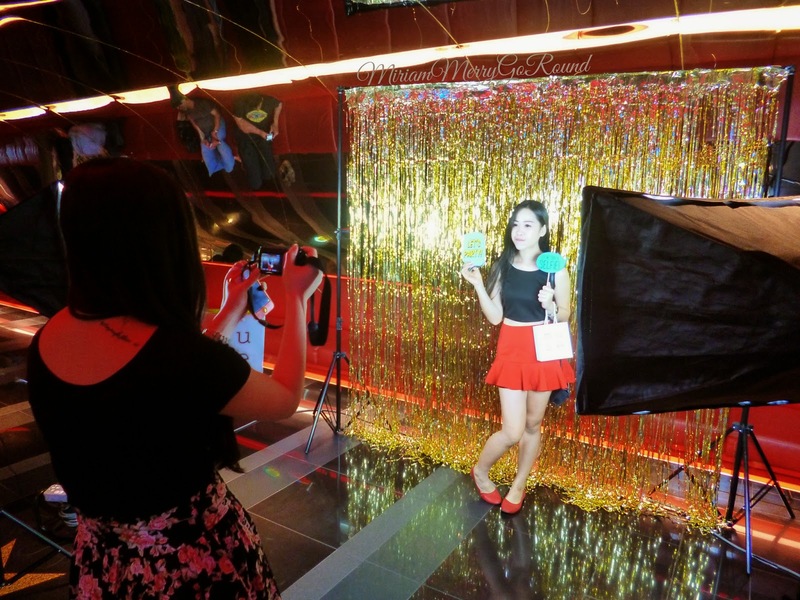 I was invited to experience TGV Indulge at One Utama and share with all of you the great experience I had. 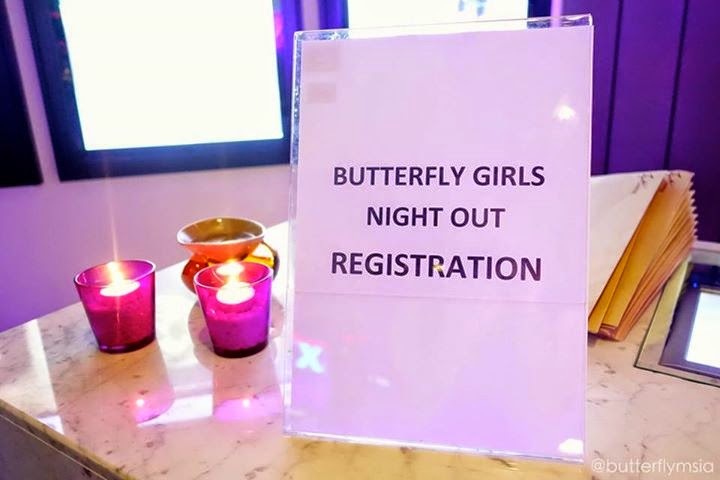 Thanks to the Butterfly Project Malaysia for organizing such a memorable night where the theme was 'Dress To Kill'. Since I was coming after office so I wasn't really able to glam myself but I did my best. They also sponsored the prizes for best dressed for the night which went to Sabrina, Caroline and Cindy! They looked absolutely gorgeous not forgetting Mamasan Tammy! 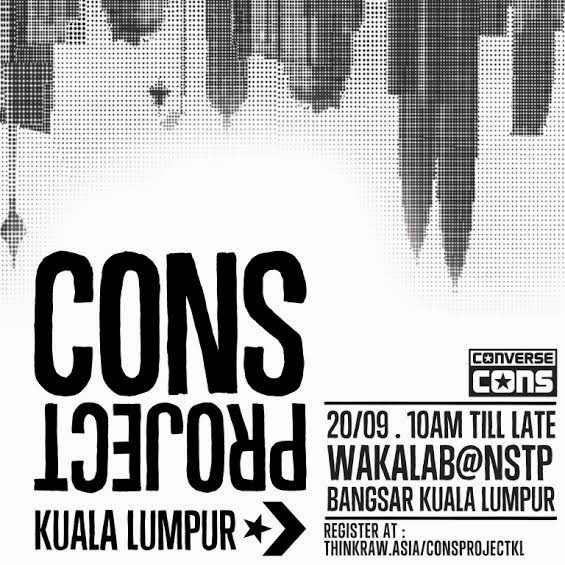 Let me give you a tour of the premise. 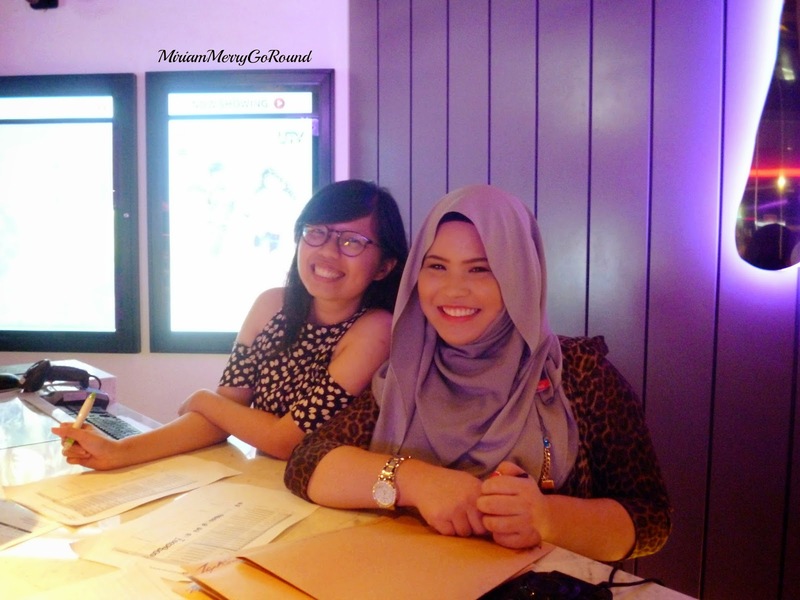 TGV Indulge really focuses on giving their patrons the most luxurious movie experience. The Indulge Lounge is super comfortable and I love the color theme! 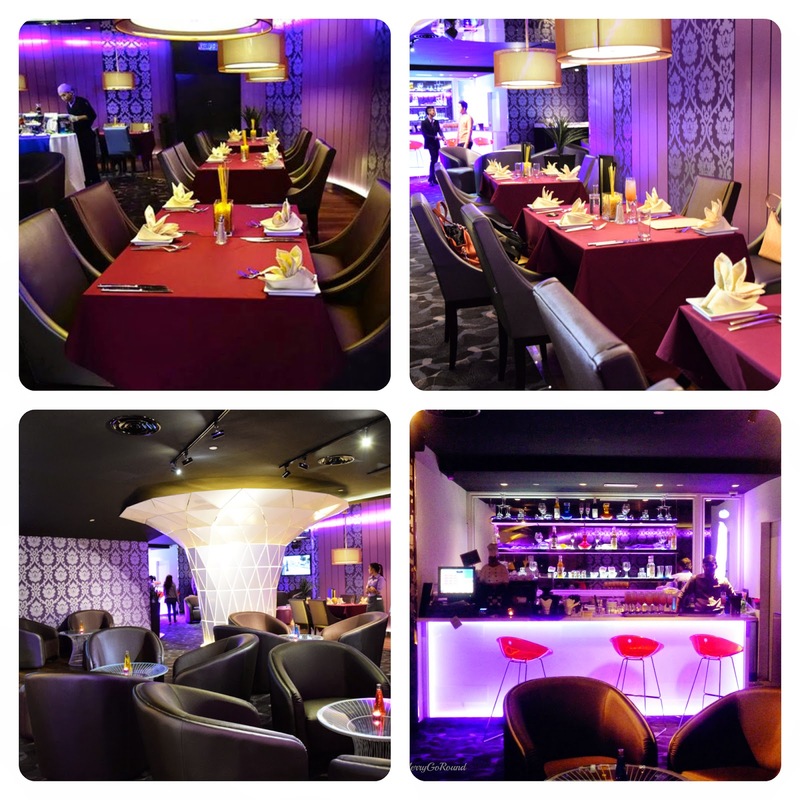 *Purple Lover* You really feel pampered dining at the lounge. Patrons can enjoy their meal or have a drink while waiting for their movie to start. The menu covers from appetizers to mains and desserts! 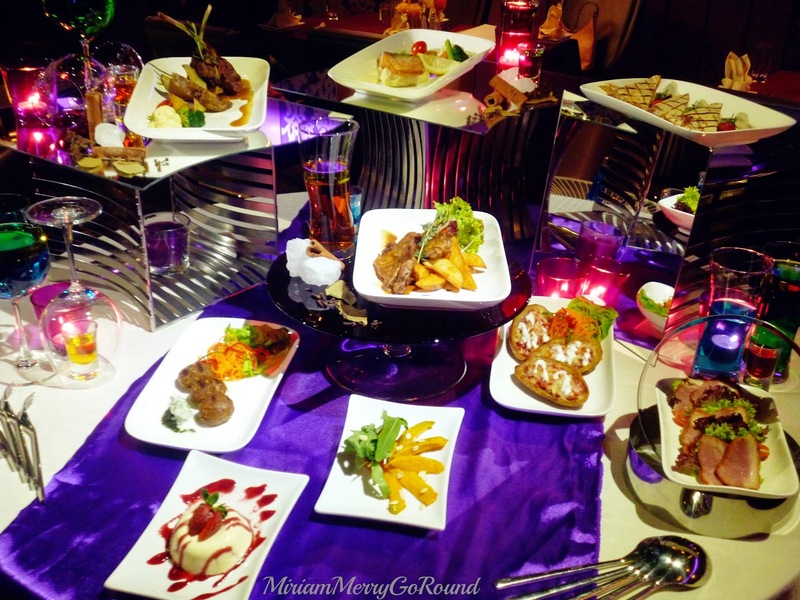 The ambiance of the premise was really great with dimmed lights and each table was decorated with tables accompanied with soft jazz music. The tables setting was intimate and comfortable to plush cushioned dining chairs. 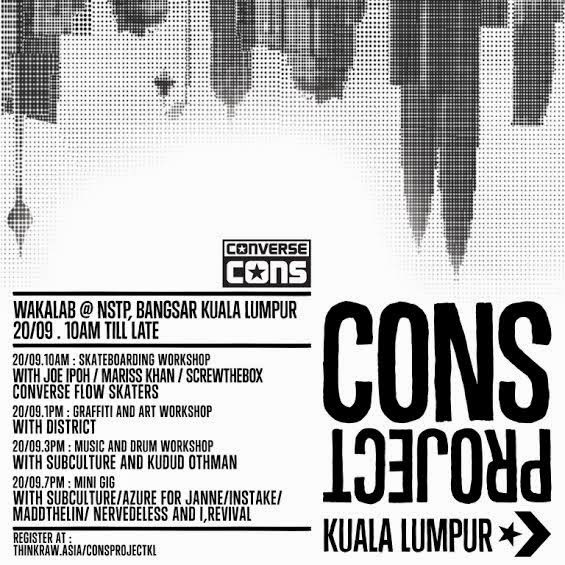 Firstly, just to share some information with you. Exfoliating your skin is actually quite good for your skin as it removes dead skin and allows your new skin to look better. Besides that, it also helps to remove dry patches which will give you a nice polished surface for your makeup application. Applying makeup on patchy skin surface will actually make your makeup look cakey and uneven. However, it is very important to use gentle exfoliation for your face as the skin on your face is more sensitive compared to other parts of your body. 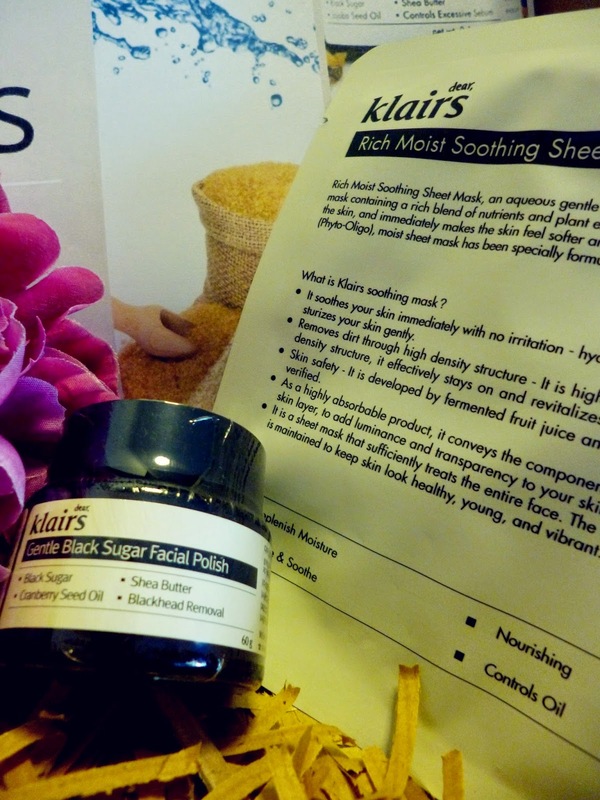 Some of the gentler exfoliation methods is using black sugar. 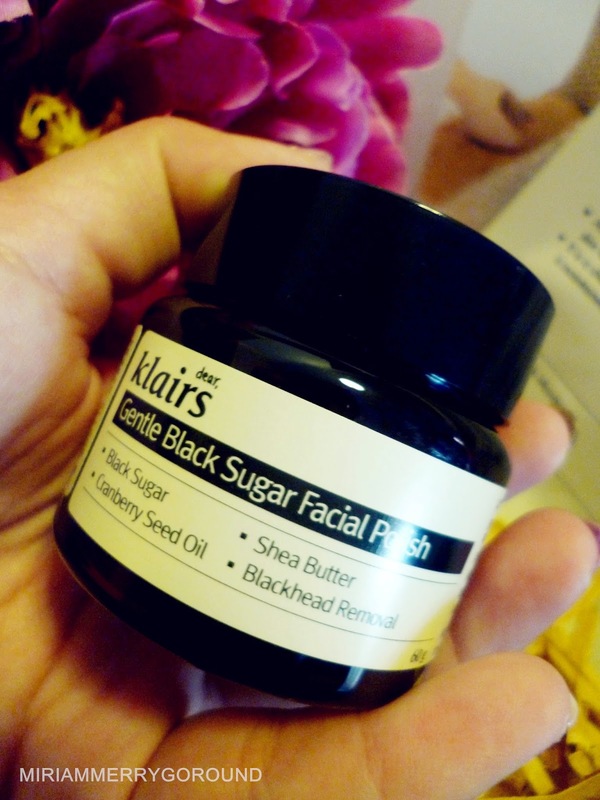 Black sugar actually has been proven to aid in the removal of dead skin cells and blackheads. It is a gentler exfoliation method as you can dissolve it in water before you exfoliate your skin. Besides that, it exfoliates dry skin with ease and adds a glossy smooth look to the skin. 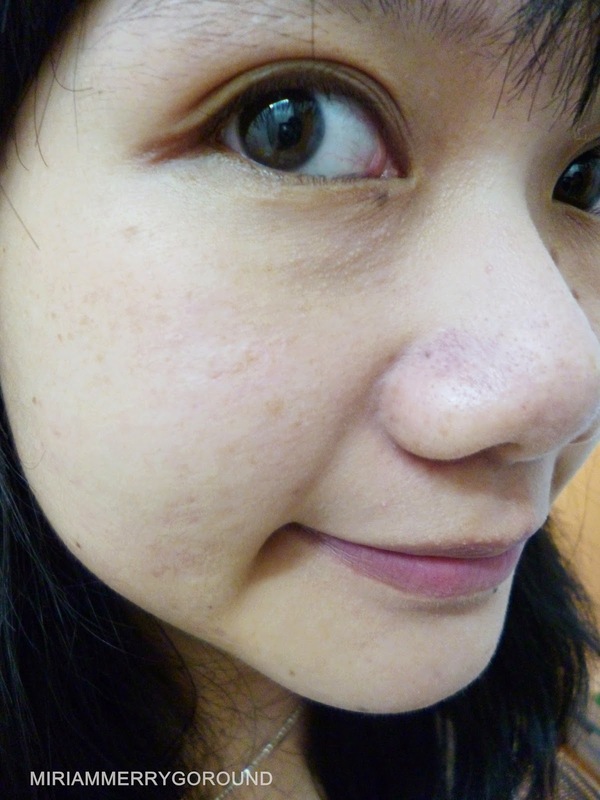 - Relief from minor dermatologist problems. - To exfoliate dead skin cells. 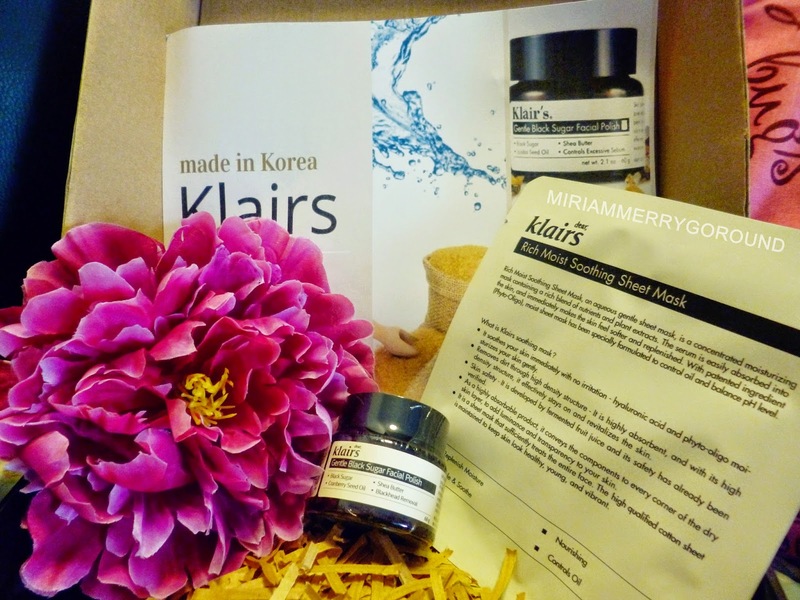 - To remove blackheads and whiteheads while preventing new ones. 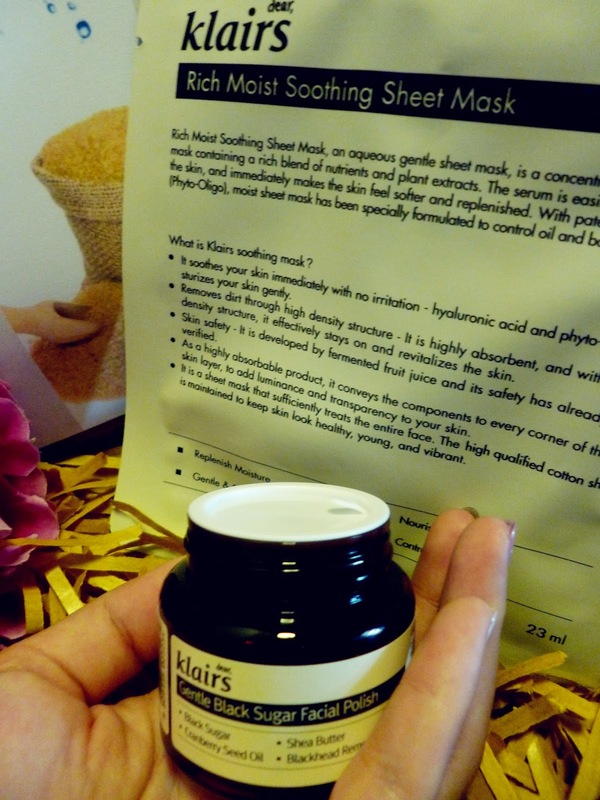 - To remove and treat flaking dry skin. 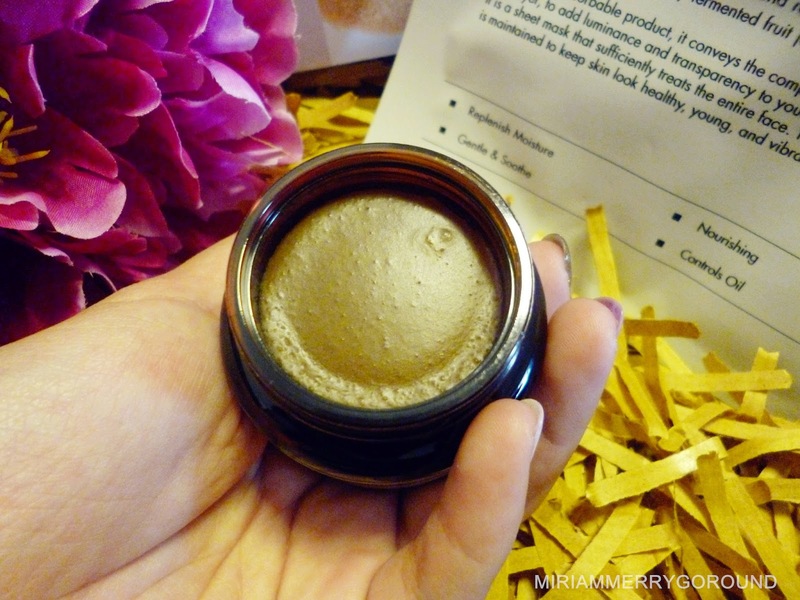 The packaging of the Black Sugar Polish is in a compact jar with a plastic cap to cover it. As you can see the contents of the black sugar polish is quite compact and one downside is that they do not provide a spatula. You can use your own spatula when using this product. The size is suitable for travelling purposes and does not take up much space. So time for the review. I have several uneven skin area which definitely needs some polishing. So let's see how well this polish works.